By cupcakeSerenity on November 29th, 2012 . Filed under: Bakeries, Cupcake Ideas, Holidays, Photos . ‘Tis the season! Or, almost anyway. The first holiday parties I know of are happening this weekend, and it’s certainly cold enough outside to be the season! 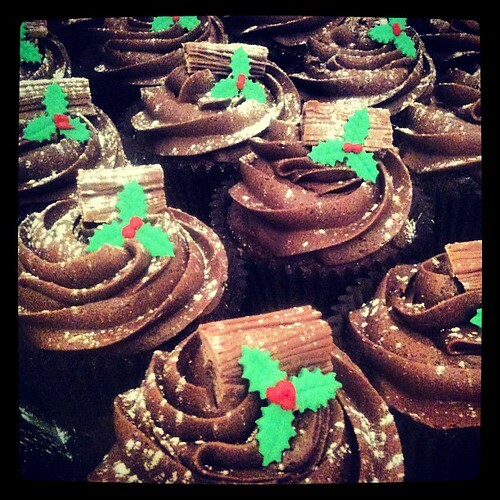 That’s why these Chocolate Log Christmas Cupcakes from DaisyCakes caught my eye. I’m not sure how they created the “logs” (any ideas?) but they look wonderful.